Description In this cute puzzle game your job is to clean the environments from the lazy germs, who are actually sleeping. Every time you wake a sleepy germ your life bar decreases. Be careful not to consume the entire bar! Controls Use your left mouse cursor to click on any germ. 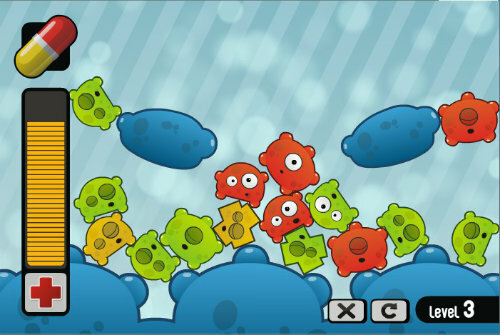 You can only remove germs with the same color that appear on the pill, located at the upperleft of the game.